Are you ready for the Smuggler Poker Run? Please fill out and submit this form. - Short Course - Aprox 30 miles trails and logging roads, for beginner/ intermediate riders. All 3 & 4 wheelers to be released after last 2 wheel bike is out. 2 wheel bikes can ride with 3 & 4 wheelers if their in a group. In consideration of my acceptance of my application for entry in the Tacoma Trail Cruisers Smuggler Poker Run, to be held on August 3-4 2019. I represent and agree that a motorcycle event or contest such as Tacoma Trail Cruisers Smuggler Poker Run, can and may be dangerous to my property and person and that such risks are known and appreciated by me and upon entering this event, I represent that I am aware that in the event of injury to myself, medical care may not be available at the site. I hereby release, acquit and discharge the Tacoma Trail Cruisers, a Tacoma motorcycle club, it's officers, directors, shareholders, agents and/or members and representatives and all other participants in this event, from any liability, claims or demands of whatsoever kind or nature, for injury to myself and/ or my property or to the person or property of my wards and minor children, who may be participants, resulting or arising from my and/or Their participation in this event or in connection with my and/or their presence at this event, whether as a participant or spectator. I assume all risks of any liability, for damage to my property or injury to my person and that of my wards and/or minor children and this waiver shall be binding upon my heirs, executors, administrators and representatives. This waiver and release shall be effective whether damage or injury shall be caused by negligence, breach of warranty or otherwise. I, the undersigned, state that I have read this waiver and release and that I understand it and acknowledge that no representations or warranties not set forth herein, have been made or relied upon by me, concerning the safeness, lack of risk or furnishing of medical facilities or otherwise in connection with this event. All parking must be prepaid and must accompany pre-registrations and is on a first come basis! In the last few years we have seen our attendance soar, and due to limited space needed to make some changes. Camping at TTC is available during the Smuggler for $30 per site (For the weekend). The new size of RV spots are 16' x 40'. If you cannot fit your RV and tow vehicle in one space, you will be required to purchase a second space (oversize spaces are limited). In past years we have we have allowed riders to purchase more than two spaces, but starting this year we will only allow a person to purchase two. I, THE UNDERSIGNED, ACKNOWLEDGE THAT BY SIGNING THIS DOCUMENT, I AM RELEASING THE STATE OF WASHINGTON TO INCLUDE THE DEPARTMENT OF NATURAL RESOURCES, ITS OFFICERS, EMPLOYEES, AGENTS AND CONTRACTORS (“RELEASEES”) FROM LIABILITY. THIS RELEASE IS A CONTRACT WITH LEGAL CONSEQUENCES. I HAVE READ IT CAREFULLY BEFORE SIGNING. Poker Runs can be dangerous and pose a risk of injury or even death. I fully assume the risks associated with my participation in this event including but not limited to: hazards from improper technique, accidents or illness in remote locations without medical facilities, actions of other participants, equipment failure, inadequate safety measures, THE REALEASEES’ OWN NEGLIGENCE, weather conditions, and the risk of any personal or bodily injury, disability or death. For myself, my heirs, executors, administrators, legal representatives, assignees, and successors in interest, I HEAREBY WAIVE, RELEASE, DISCHARGE, HOLD HARMLESS, AND PROMISE TO INDEMNIFY AND NOT TO SUE the Releasees’ from any and all claims of any kind and character, including claims arising out of or incident to my participation in the TACOMA TRAIL CRUISERS POKER RUN event or transit to and from the area. A “claim” as used in this contract means any financial loss, claim, suit, action, damage, cost, demand or expense, including but not limited to attorney’s fees, attributable to bodily injury, disability, sickness, disease, or death, or injury to or destruction of tangible property including loss of use resulting there from. Should I or my successors assert a claim in breach of this agreement, the asserting party shall be liable for the expenses (including legal fees) incurred by each Releasee in its defense, unless the Releasee is finally adjudged liable on such claim for willful or wanton negligence, If any term or provision of this agreement is found to be invalid, that shall not affect the others terms and provisions, which shall remain binding and enforceable. 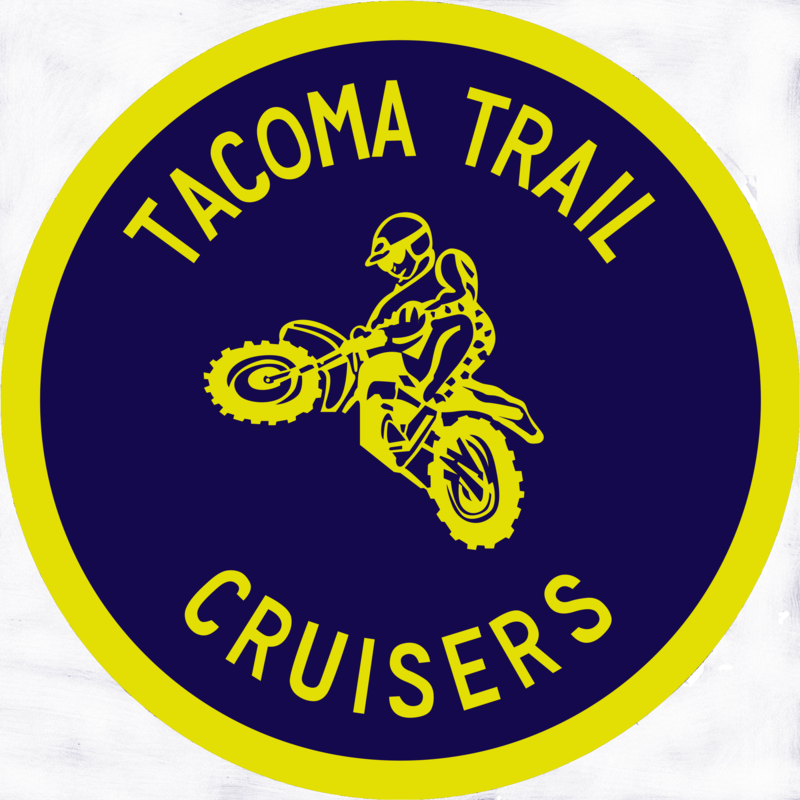 I UNDERSTAND and AGREE to the terms set forth above for my participation in the TACOMA TRAIL CRUISERS POKER RUN. The undersigned parent and natural guardian or legal guardian does hereby represent he/she is, in fact, acting is such capacity and agrees to save, hold harmless, and indemnify each and all of the Releasees referred to above from all liability, loss, cost claim or damage whatsoever which may be imposed upon said releases because of any defect in or lack of such capacity to so act and release such Releasees on behalf of the minor and the parents or legal guardian. I UNDERSTAND and AGREE to the terms set forth above for my participation in the TACOMA TRAIL CRUISERS POKER RUN. Thank you for completing the Smuggler online forms portion of the registration. When you click submit, you will be redirected to the Smuggler Store to select and pay for your course options, camping, and event apparel.